This interdisciplinary collection of essays on medieval magic is surely destined to become a standard – and, for the time being at least, definitive – work on the subject. The volume’s coverage is comprehensive, even including a final section on anti-magical discourse in the Middle Ages to ensure that both emic and etic approaches to magic are addressed. Page and Rider’s volume is hardly an introductory survey of the subject; it is not a volume that someone with a burgeoning interest in the history of magic is likely to pick up to pique their interest. Rather, the book seeks to establish a future research agenda for historians of magic by drawing together overviews of the key areas in which research has been conducted over the past three decades. This is very valuable to scholars, since research into the history of magic has appeared in a diverse range of journals and is not always readily discoverable. This volume’s astonishing interdisciplinary breadth, covering subjects as diverse as gender, music and visual culture, will be eye-opening to historians of magic as well as to readers from other specialisms. In recent years, the historical study of magic has finally begun to take off after a rather slow start in the 1980s. Major exhibitions, such as the British Library’s ‘Harry Potter: A History of Magic‘, The John Rylands Library’s ‘Magic, Witches and Devils‘ and the Ashmolean Museum’s ‘Spellbound‘, have raised public awareness that the study of magic is a serious pursuit of scholars. For decades, the historical study of magic was often a footnote to the study of witchcraft – the latter being largely a pursuit of social historians, when the study of magic really required the attentions of intellectual historians and historians of religion. It was only when historians of the stature of Richard Kieckhefer began to turn their attention to magic in the 1980s that the complexity and sophistication of medieval magical belief and practice became apparent. However, in spite of the large amount of research conducted over the last thirty years, one is sometimes left with the impression that scholars are still scratching the surface of medieval magic. The idiosyncrasy of magical manuscripts (especially manuscripts of ritual magic) mean that unique elements are often found within them, and it remains the case that only a handful of such manuscripts have been edited and translated. Individual case studies of magical practitioners have proved illuminating – such as John of Morigny, Beringarius Ganellus and Peter of Zealand – often revealing the thinness of the veil between magical and mystical religious practice. Another burgeoning area of research is into the material remains of magical practice and belief – a field where archaeologists have a great deal to contribute, and which is covered in this volume with a superb essay by Roberta Gilchrist. While other huge collections of essays on the history of magic have appeared in recent years, such as The Cambridge History of Magic and Witchcraft in the West, it has sometimes seemed that their scope is so wide as to raise questions about whether such volumes can reveal any overarching ideas or trends. By restricting the chronological scope of their volume to the period c. 1100-c. 1500 yet maintaining its vibrant interdisciplinary diversity, Page and Rider have made the right decision and produced a collection that succeeds in being eye-opening rather than eye-watering. Like every book on the history of magic, Page and Rider’s volume grapples with the vexed question of defining magic – not, in this case, in a short introductory digression but in an entire section of the book, consisting of five chapters with contributions from heavyweight scholars including Richard Kieckhefer, Claire Fanger and Berndt-Christian Otto. This, again, seems a wise decision, since the interminable debate about what constitutes ‘magic’ is always the achilles heel of scholarship on the subject. 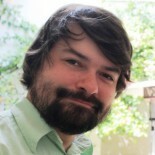 Subsequent multi-chapter sections go on to consider the linguistic and geographical diffusion of magic, key genres of magic (such as natural, Solomonic, necromantic and astral), the linguistic relationship between magic and other themes, and anti-magical discourse. The book unapologetically approaches medieval magic as, first and foremost, a learned tradition (albeit one that was later diffused into the common tradition), and the editors divide the period under consideration into three broad phases: the diffusion of Arabic occult traditions into European learning in the twelfth century, the development of clerical magic in the High Middle Ages, and the growing fear of magic in the late Middle Ages that produced condemnations and, eventually, witch-hunting. The editors note the volume of research being conducted – so much that even scholars of medieval magic struggle to keep up with the flow of publications. Nevertheless, as Catherine Rider notes in her chapter on magic and gender, major questions remain unanswered – such as whether nuns ever followed the lead of male clerics and religious and became involved in magic. Although this volume was perhaps not the right place for such a discussion, I should have liked to see some attempt to address the question of how academic studying the history of magic should communicate their research to the wider public. Historians of magic are beset by two problems in this respect. The first is ‘Potterisation’, the tendency of the public and media to perceive medieval magic almost exclusively through the lense of the fictions created by J. K. Rowling. I have had personal experience of this issue, when the i newspaper reported the publication of my edition of the fifteenth-century Peterborough Lapidary in terms of ‘Harry Potter-style magic’. The British Library’s decision to use the boy wizard’s name for an exhibition about the history of magic also attracted some controversy (I reviewed the exhibition here). The obvious problem with ‘Potterisation’ is that scholars will be tempted (perhaps even unconsciously) to structure their understanding of medieval magic along conceptual lines developed by a fantasy novelist, especially if they want their research to be accessible to the general public. Indeed, the influence of fantasy fiction beyond the Potter books on how we conceptualise magic should not be overlooked. The second problem for historians of magic, besides ‘Potterisation’, is the involvement of self-defining practitioners of magic in research into magical texts. Individuals with a practical as well as scholarly interest in magic have been responsible for a number of editions of magical texts, of varying quality. On one level, this is surely to be welcomed – how many disciplines can boast dedicated bands of amateur scholars so committed that they will actually contribute editions of key texts? On the other hand, the work of amateur practitioner-scholars to the field of medieval magic needs to be received with caution, because the preconceptions about magic that these individuals may bring with them from the world of contemporary occultism have the potential to distort their perception of medieval magic. Scholars have repeatedly demonstrated that the intellectual roots of most contemporary occultism can be traced back to the work of Eliphas Levy in the nineteenth century, and while a wider range of texts and sources are now available to occultists, many occultists have a tendency to overlay these texts on a conceptual substructure essentially built by Levy, Aleister Crowley, Gerald Gardiner and others. They are unwilling to demolish the heritage of contemporary occultism and begin again from the foundations of what medieval magic was actually about. Two examples will suffice to make the point. The first is contemporary occultists’ obsession with the idea that magic was always an illicit act in the past, which is one of the principal received ideas currently being challenged by historians of magic. On the contrary, scholars such as Frank Klaassen and Claire Fanger are showing that the line between mystical prayer and ritual magic often barely existed at all. As long as contemporary occultists remain attached to the idea that magic is inherently subversive, they will not be able to make an objective evaluation of magical texts. The second example is the frequent anti-Christian bias found among contemporary occultists. It is manifestly clear from reading virtually any text of medieval magic from the Christian west that its authors were not only operating within the context of a Christian culture, but also saw magic as part of the life of a Christian as they conceived of this. Some occultists seem unable to escape the weight of an old, outdated scholarship that saw magic as a pagan survival within medieval Christendom. They are therefore at risk of devaluing or excusing the Christian elements within magical texts, or even assuming that Christian piety is a cover for something else. Clearly, this means that occultists may find themselves unable to read the text as it is. I highlight these challenges faced by historians of magic because, in addition to scholarly collections like the book under review, they must also engage honestly and openly with the broader public about their research. The public’s interest in the history of magic is a huge opportunity, but it is also a temptation that can lead historians of magic down the wrong path. The texts and sources must be allowed to speak for themselves rather than being viewed through the lenses of fantasy fiction and contemporary occultism. 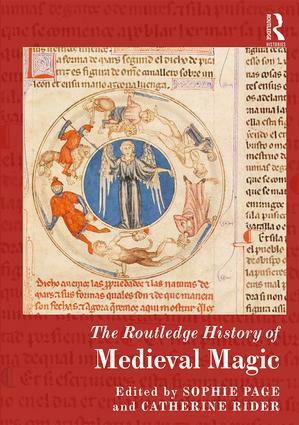 The breadth of Page and Rider’s collection is currently unrivalled, and will be essential reading for any serious scholar of the history of medieval magic. Certainly, there is a large and interesting conversation waiting to happen between state-accredited salaried scholars and “street” practitioners, and one useful place to start might be by dissolving false preconceptions about practitioners’ beliefs. Very few serious occultists today are blind to the gulf between medieval magical practices and “Victorian revivalism” and none that I know of have any serious problem understanding the Christian context of medieval magic in Europe. You may be confusing the large and loud “neopagan community” with the small and silent audience of serious occultists. Thank you, that’s interesting. I can only comment on what I’ve encountered in the pages of editions of magical texts by some (not all) occultist scholars. I don’t mean to tar everyone with the same brush. It seems to me that, while serious occultists may not be neopagans, many are consciously or unconsciously influenced by neopagan presuppositions (perhaps because they were once neopagans or came to occultism via an interest in neopaganism). I’d compare this with the way in which scholars from a Christian background, even if they have long since discarded Christian belief, are influenced by a Christian worldview whether they like it or not. None of us can truly escape cultural residues, but it is as well to be aware of them and try to mitigate their influence. This entry was posted on March 21, 2019 by jacobite.